Fiber Fusion Northwest will be held at the Evergreen State Fairgrounds in Monroe, WA. The fairgrounds is located at 14405 179th Avenue SE, Monroe, WA 98272. Use the the West Gate Entrance at 179th Ave NE and Hwy 2.
and the 4-H Building (Bldg. #501). Fiber Fusion Northwest will be held in the Commercial Building (Bldg. #400), the Display Hall (Bldg. #500), and the 4-H Building (Bldg. #501) at the Evergreen State Fairgrounds. Click here to download a copy of the Fairgrounds map. 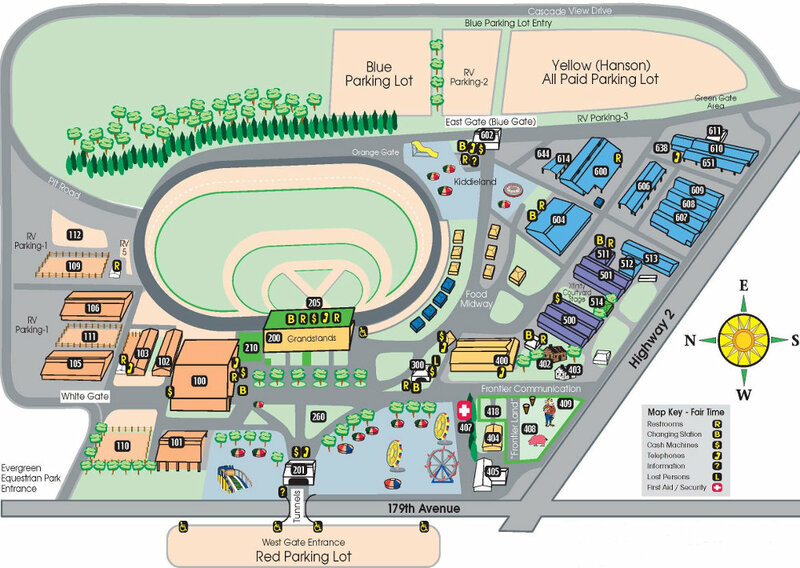 This is a general map provided by the Fairgrounds.